Tenders dipped in wing sauce, lettuce, tomato and blue cheese dressing. Served on a sesame bun with a pickle on the side. Fried chicken, crispy lettuce and tomato topped with Buffalo wing sauce and blue cheese dressing. Homemade tortilla chips, covered with melted cheese, black beans, diced tomatoes, sour cream, jalapenos and guacamole. Serving wings in New York. Outstanding crispy fries. Boneless wings are juicy and nice sized. Awesome choice of sauces. Order from here once or twice a week. Tops in neighborhood. Order always correct and tasty. This has become our new favorite go-to...he BONELESS wings are a MUST...white meat nuggets of wing perfection every time...Curley fries and chicken quesadillas are unbelievably perfect every time. Delivery is always on time and side sauces are always correct. Love wing bistro. The wings are great, but also really appreciate their customer service - I entered the wrong delivery address by mistake, and they were super kind to re-deliver it anyway. I was having a bad night and they turned it around. Wing Bistro delivered on time with steaming hot fresh food. They also had a letter asking customers to purchase from them online directly which I will do next time to better support their business because it was delicious! Wow, best wings I've had in a long time. Wing Bristro lives up to the name. Good size wings, cooked the way I like them ,mild sauce was on the money. Will definitely order again. Food came in on time, I also requested to add bacon on an order where it is not optional they were very generous android this without up charge. Great place in my neighborhood! 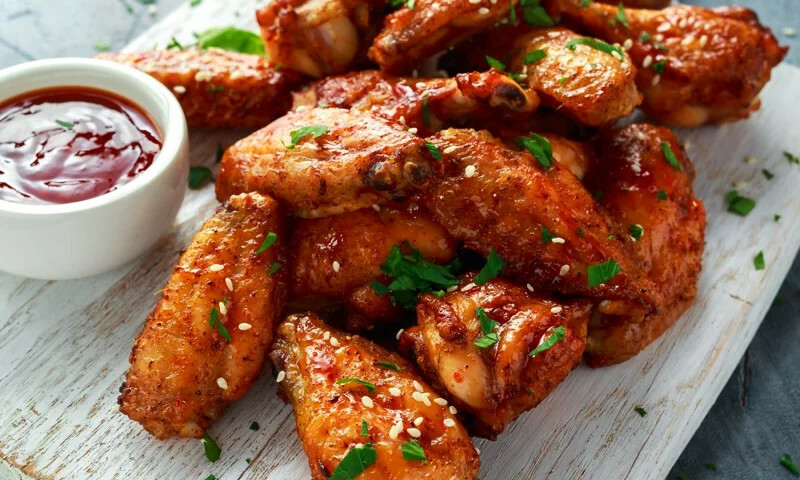 Whether you're craving a quick bite or looking to treat yourself to a delicious meal, you can now order your Wing Bistro favorites for takeout or delivery.